I’ve been trying new recipes and looking on Pinterest and Googling for just the right Valentine’s Day dessert to make for my husband. I want to make something that he will enjoy and that he knows I took some time and thought into making. Because he is worth it. I think this chocolate scones recipe will do the trick. This recipe returns fluffy, light scones, instead of a harder version, which works well with the chocolate chips. Before you begin mixing ingredients, prepare a baking sheet with parchment paper or lightly grease it. Set your oven to preheat to 450F and arrange the tray so that it is in the center rack space. In a large mixing bowl combine the flour, salt, baking powder and sugar. Mix well, ensuring that there are no clumps. Add cubed butter to the dry mix and use your hands to mix it all in, creating a crumbly mixture. 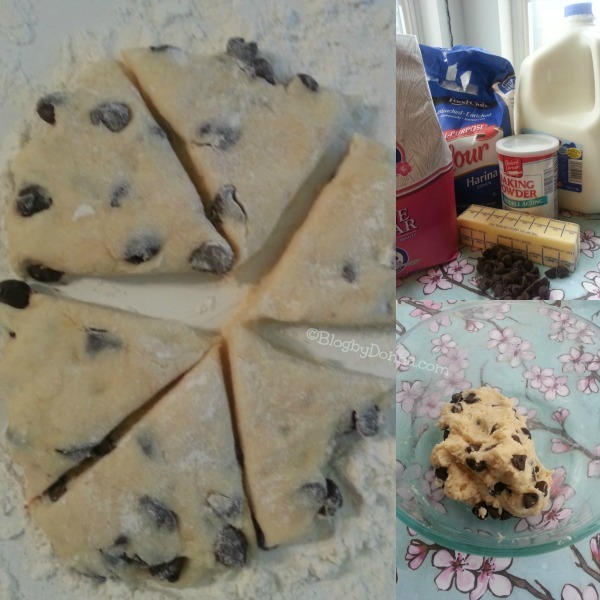 Add the milk and chocolate chips to the mixing bowl and combine everything until the dough sticks together in a ball. Lightly flour a clean surface where you can flatten out the dough. Split the large dough ball into two smaller dough balls. Place one dough ball onto the floured surface and use your hands to pat it flat into a round disk that is 1 ½” to 2” thick. You don’t really want to flatten it out too much, just take it from a ball to a round disc. Use a butter knife to cut the disc into six to eight wedges. Arrange the scone wedges onto the baking sheet. Repeat with the second dough ball. Bake scones in the oven for 12-15 minutes. Pull scones out and lightly sprinkle them with sugar, return scones to the oven for an additional 15 minutes. Allow scones to cool for 10 minutes and serve. 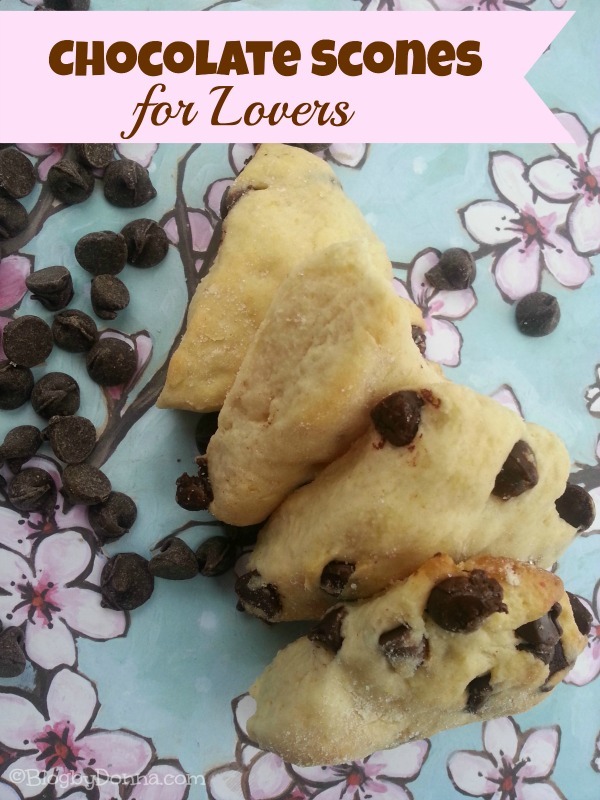 I think my husband would love these homemade chocolate scones for Valentine’s Day! Do you plan on making a special Valentine’s Day dessert for a special someone? If so, what? I am a sucker for scones! I’ve never made any myself. But your recipe for these Chocolate Scones looks irresistible. Thanks for sharing! Oh my goodness these look so good. Thank you for sharing. Chocolate lover here! Yummy! 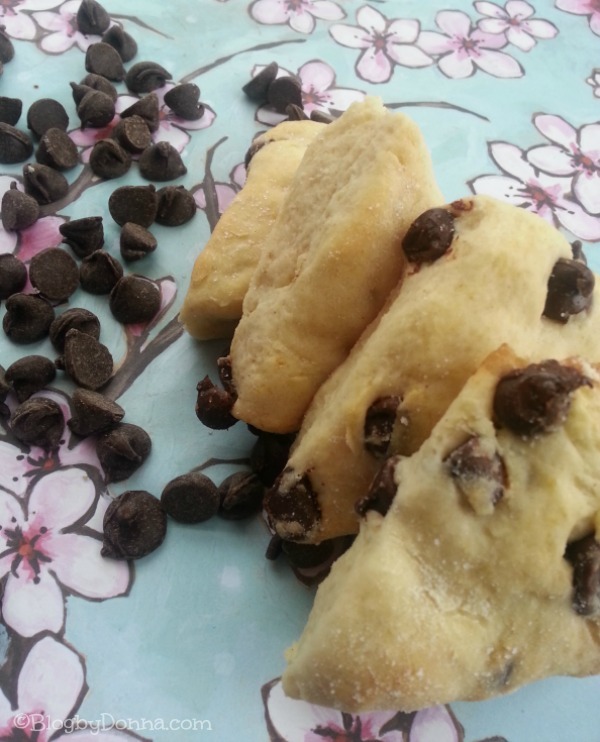 We have actually made chocolate chip scones before. Our daughters, that is. For our tea parties. We usually make Valentine’s Day cookies. We have three birthdays this month so our food budget goes to them first. My, my, my! I’d love to have some of these for V-Day, yum! I love chocolate and this looks so yummy! I will need to try it myself, thanks! OMG! These scream Valentine! I’m making teddy bear cookies for my family. Those would be great for Valentine’s Day. I have not made up my mind yet as to what to make and for whom. I have three people to consider (spouse + kids). Wow, these look wonderful! I’m sure all my sweeties would love these! Oh yum!! 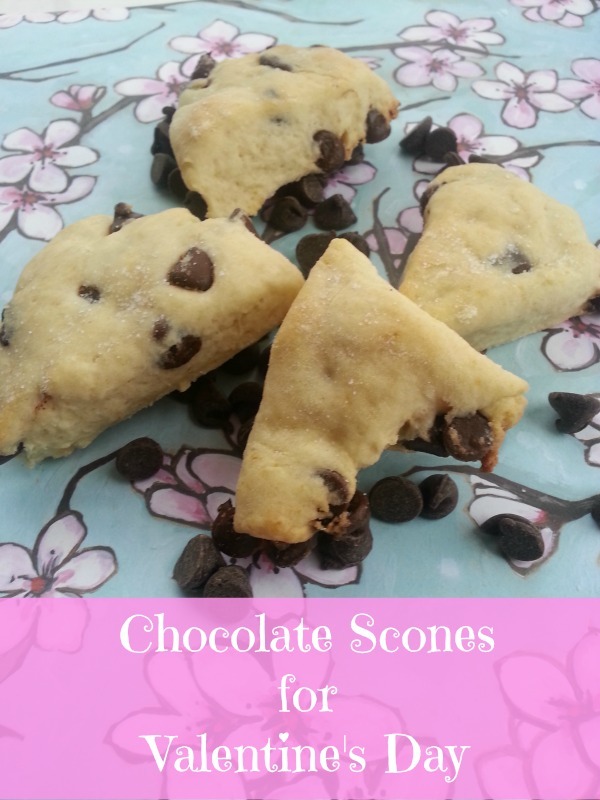 I haven’t had a chocolate scone before, sounds like I need to make some! I’m a big scone fan for the biscuit like texture alone, but throw in chocolate chips, and I am your new best friend! These will be a big hit with my family. I’ve never made scones before – I thought they’d be much more difficult to make. I’d love to try these. Thanks! I ADORE scones and they are so easy — I could definitely eat one of these right now! That scone looks really yummy. I love how you added chocolate chips to it! I was thinking about making scones this morning… now I wish I did. I love scones. Thanks for the easy recipe. I have always wanted to make scones, but never had a good recipe. Guess I can give them a shot now though, because these look delicious! oooh – so yummy! I like the idea of doing this instead of a traditional cookie. These would be great for breakfast….wicked way to start the day off! LOL! These look delish and so simple to make. I actually tried to make these (with a few variations) and they came out great. Oh gosh, these look divine. I love chocolate. Oh wow, I love scones! These look great! I’ve never had chocolate chip scones before.